OPST Commando Head OPST Commando Skagit style shooting head for both single-hand and two-hand fly fishing. OPST's Commando Heads represent the culmination of decades of innovation in Skagit casting by Ed Ward and Jerry French. Ed and Jerry were at the forefront of the "Skagit Revolution," and they have been refining Skagit fishing techniques ever since. These are remarkably efficient, easily casted and enjoyable, for the simple reason that they are specifically designed for SAS (Sustained Anchor Systemology). 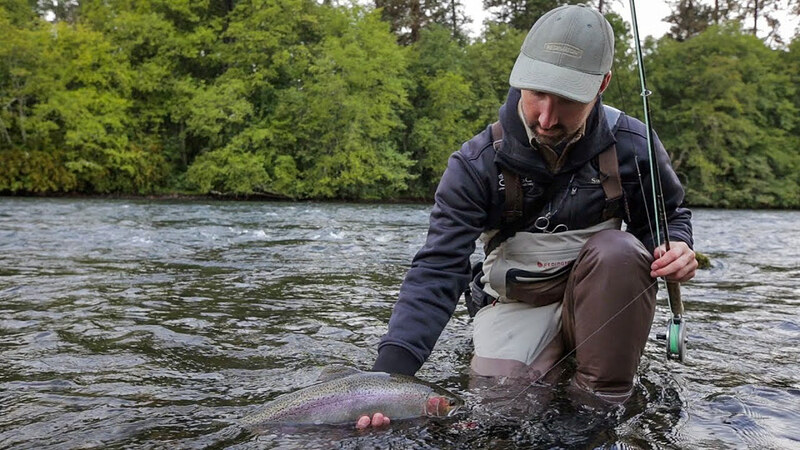 The philosophy behind SAS is simple: the Skagit cast is a water-based cast, with the rod load coming from the tension between the water's surface and the line. As such, a sustained anchor cast, where the fly remains stationary until the final power stroke, is the most efficient form of casting. OPST's lines are shorter than traditional Skagit lines, and perform exceedingly well with a continuous, "out and around" casting stroke. There is no pause before the final stroke; the cast is one continuous motion. Pure Skagit lines take beginning casters and make them effective. They take experienced casters to a whole new universe of casting pleasure. OPST Commando Heads excel on conventional two handed Spey rods but are optimized for shorter switch rods from 10 to 12 feet. But where these lines really get interesting is in single handed casting. They have taken two handed casting theory, traditionally associated with steelhead and salmon, and applied it to the micro end of the spectrum. Now you can Skagit cast and swing flies for everything from sea-run cutthroat trout to smallmouth bass to panfish, with rods as light as a 3 weight, and on rods as short as 6 feet. The same principles of sustained anchor and a water load apply. You can haul, or not. You can back cast, or not. Roll cast, Skagit cast, just about whatever you want to do, these lines will do it, and they will fly off your rod tip. Give us a call for line recommendations for your specific rod.